Boston is a very popular destination for us New Englanders. It's an easy day trip if you're looking for a quick getaway without the hassle of planning a real vacation. We've driven down in the morning, picked one or two things to do, stopped by Del Frisco's for a delicious waterfront dinner (and plenty of parking), and been back at home by the little C&Gs bedtime. It's amazing how a quick adventure can make you all feel like you've spent a long weekend away from home. With spring break, Patriot's Day, and the Boston Marathon (go runners!!) all converging on Boston this weekend, I would highly recommend heading across the bridge to Cambridge for something a little different. The campus of Harvard University and the surrounding streets are filled with fun museums, open spaces to play, interesting shops for browsing, and some excellent restaurant choices. 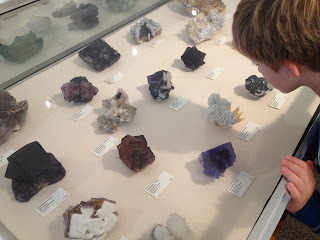 When Little C&G isn't busy studying astronomy, he can be found going over the contents of his rocks & minerals collection (sadly lacking diamonds, rubies, emeralds and other goodies). Which makes the Harvard Museum of Natural History the perfect place to spend a few hours. Thousands of sparkling gems, ancient meteorites, and dazzling minerals are on display in the newly renovated Mineral Hall. We make a game out of trying to find everyone's birthstone, and the boys love being able to touch a billion year old meteorite. The museum is famous for it's glass flower sculptures, but the small dark gallery isn't appealing to the kiddos. Instead they head right for the dazzling colors found on the displays of butterflies, beetles, and creepy crawly insects in the Arthropods Gallery. On weekends staff members have a few live insects out to show the children, which of course is a huge hit. We've seen tarantulas and Madagascar hissing cockroaches far too close for my liking. 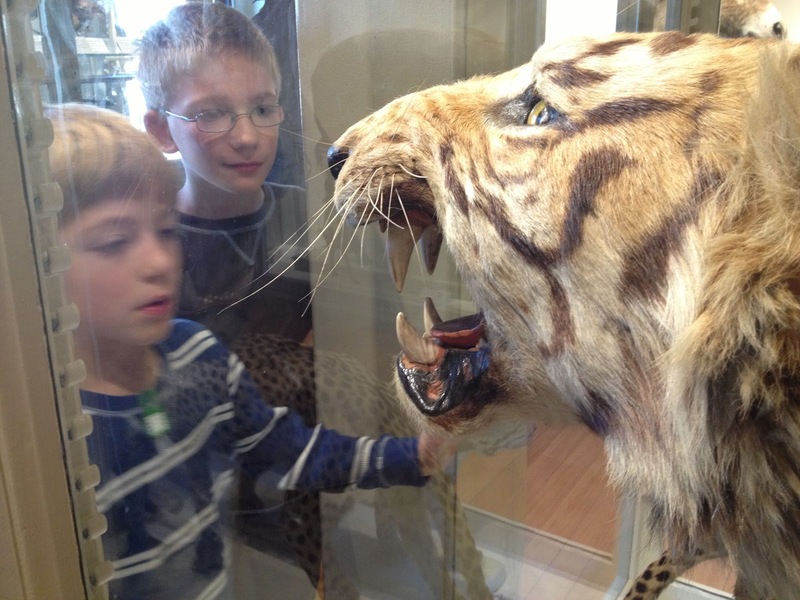 The Great Mammal Hall is the highlight of this museum with it's vast collection of animals on display, vintage style, stuffed and stored in glass cabinets. It's the last gallery in the museum, so your little adventurers might be losing steam at this point. Wake them up a bit with some Harry Potter challenges. A few years ago the museum had a Harry Potter scavenger hunt to tie in with a Museum of Science exhibit. We had to track down Hedwig (easy to do in the owl section) and a small mammal similar to Dobby (over with the lemurs). 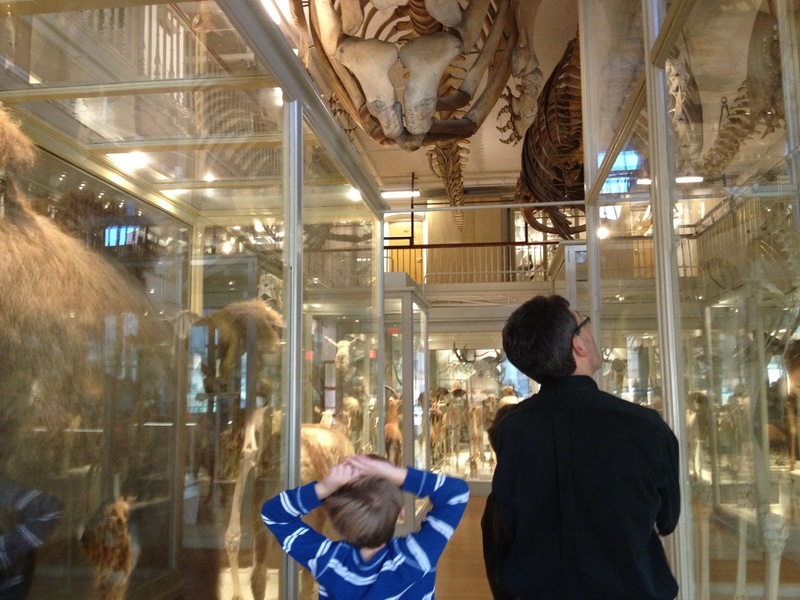 The Harvard Museum of Natural History is just a ten minute walk from the Harvard Square Red T line. It's open every day from 9 to 5, admission for adults is $12, children (3-18) $8, and free to Massachusetts residents every Sunday morning from 9-12 and Wednesday afternoons from 3-5. The museum is next to the Peabody Museum of Archaeology and Ethnology, which we've never been to but admission is included with your Natural History tickets. If you're ready for some fun shopping, head over towards the T station where you can't miss the big yellow and red signage of The Curious George Store at the corner of JFK and Brattle Streets. It's the world's only Curious George store, and as expected they have ever size George you or your child could possibly wish for. I love their selection of books, which branches out beyond the ones with the yellow cover and the curious monkey looking for trouble. They have beautiful picture books along with chapter books for every reading level. At the back of the store is a small section of baby (and toddler) toys, with an emphasis on well designed toys from Europe. Across the street is my favorite gourmet food store, Cardullo's. They have the best selection of international candy I've found outside of an international airport candy counter. They have every possible gummy candy from Haribo of Finland, all the best British sweets (like my absolute favorite Flake bars), and the Freia chocolates we all became addicted to in Norway. The little C&Gs each get to pick out one thing, which keeps them distracted from the giant pile of goodies in my shopping basket . . .
All that walking and shopping will make you hungry and in need of some cocktails. Next up I'll share the best places to refresh and revive your weary troops, with a little something for everyone. Oreo milkshakes or spicy bloody marys, award winning burgers or slices of pizza, Cambridge has it all within a 2 block radius.